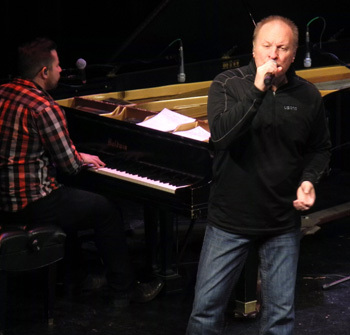 Collin Raye, who rose to instant popularity in the country music scene in the 1990s with his debut album “All I Can Be,” performs one of his hits for the crowd Friday at the Ocotillo Performing Arts Center. Raye put on two shows for appreciative Artesians and fans of his music who travelled to see him perform. Following his inaugural hit, “Love, Me,” Raye went on to earn several Top Ten hits, including “In This Life,” “My Kind of Girl,” and “I Can Still Feel You.” During Friday’s performances, he also treated the audience to selections from his tribute album to Glen Campbell. 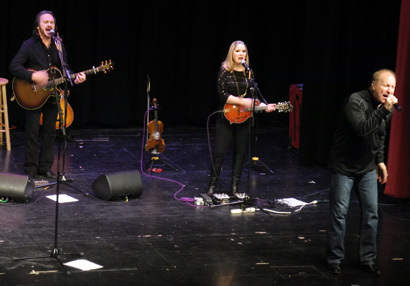 Joining Raye on lead guitar and backup vocals was Donnie Lee Clark, lead singer of Pure Prairie League.